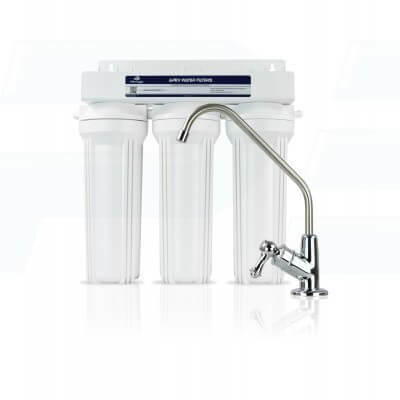 Removes Chloramine, Odors & Residual Chlorine up to 95% with Granular Activated Carbon & KDF process media while adding Calcium, Magnesium, Potassium with Alkaline Beads & Calcite media. Removes Arsenic, Cadmium, Chromium, Mercury, Lead, Antimony, Selenium, Aluminum, Copper, Iron & Manganese with KDF process media. Removes up to 99.9% of Escherichia coli. Neutralizes acid in your bloodstream while boosting metabolism, helping your body absorb nutrients more effectively.